As the indications in the press all point towards a Russian reign of terror, either before or at the death of the Czar - most probably the former - a bird’s-eye view of the constitution of Russian society will enable us to better understand events as they transpire. Implored by the Slavs to come and reign over their country, Rurik is reported to have been addressed by the delegates in these ominous words: “Come with us, great prince ……for vast is our mother land; but there is little order in it” - words which their descendants might well report with as much, if not more, propriety now as then. Besides these conflicting elements of high and low nobility, the direct descendants of the Boyars of old - the Slavonian peers in the palmy days of Russia, divided into petty sovereignties, who chose for themselves the prince they wanted to serve and left him at will, who were vassals, not subjects, had their own military retinue, and without whose approval no grand-ducal “ukase” could be of any avail - and the ennobled Tchinovniks, sons of priests and petty traders, there are yet to be considered 79,000,000 of other people. These may be divided into the millions of liberated serfs (22,000,000), of crown peasants (16,000,000), who inhabit cities, preferring various trades and menial service to agriculture. The rest comprises - 1) the Meshtchanis, or petty bourgeois, one step higher than the peasant; 2) the enormous body of merchants and traders divided into three guilds; 3) the hereditary citizens, who have nothing to do with nobility; 4) the black clergy or the monks and nuns; and the secular clergy, or married priests - a caste apart and hereditary; and 5) the military class. From all this social rottenness, the black fungus of Nihilism has sprung. Its hot-bed has been preparing for years, by the gradual sapping of moral tone and self-respect and the debauchery of the higher class, who always give the impulse to those below them for good or evil. All that lacked was the occasion and the man. Under the passport system of Nicholas, the chances for becoming polluted by Paris life were confined to a mere handful of rich nobles, whom the caprice of the Czar allowed to travel. Even they, the privileged of favour and fortune, had to apply for permission six months in advance, and pay a thousand roubles for their passport, with a heavy fine for each day in excess of the time granted, and the prospect of confiscation of their entire property should their foreign stay exceed three years. But under Alexander everything was changed; the emancipation of the serfs was followed by numberless reforms - the unmuzzling of the press, trial by jury, equalizing the rights of citizenship, free passports, etc. The history of Nihilism can be summed up in two words. For their name they are indebted to the great novelist Turgenev, who created Bazarof, and stamped the type with the name of Nihilist. Little did the famous author of “Fathers and Sons” imagine at that time into what national degeneration his hero would lead the Russian people twenty-five years later. Only “Bazarof” - in whom the novelist painted with satirical fidelity the characteristics of certain “Bohemian” negationists, then just glimmering on the horizon of student life - had little in common, except the name and materialistic tendency, with the masked Revolutionists and Terrorists of to-day. Shallow, bilious, and nervous, this studiosus medicinæ is simply an unquiet spirit of sweeping negation; of that sad, yet scientific scepticism reigning now supreme in the ranks of the highest intellect; a spirit of Materialism, sincerely believed in, and as honestly preached; the outcome of long reflections over the rotten remnants of man and frog in the dissecting room, where the dead man suggested to his mind no more than the dead frog. Outside of animal life everything to him is nihil; “a thistle”, growing out of a lump of mud, is all that man can look forward to after death. And thus this type - Bazarof - was caught up as their highest ideal by the university students. 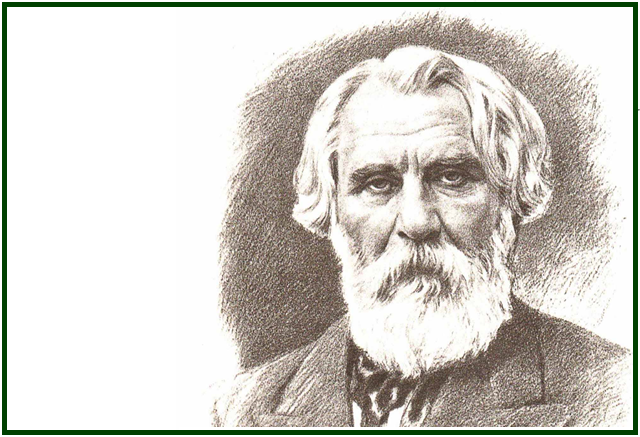 The “Sons” began destroying what the “Fathers” had built. . . . And now Turgenev is forced to taste of the bitter fruits of the tree of his planting. Like the creator of Frankenstein, who could not control the mechanical monster that his ingenuity had constructed out of the putrefactions of the churchyard, he now finds his “type” - which was from the first hateful and terrible to him - grown into the ranting spectre of the Nihilist delirium, the red-handed Socialist. The press, at the initiative of the Moskovskye Vyedomosty - a centenarian paper - takes up the question and openly accuses the most brilliant literary talent of Russia, one whose sympathies are, and always have been, on the side of the “Fathers”, with having been the first to plant the poisonous weed. Owing to the peculiar transitional state of Russian society between 1850 and 1860, the name was hailed and adopted, and the Nihilists began springing up at every side. They captured the national literature, and their new doctrines were fast disseminated throughout the whole empire. And now Nihilism has grown into a power - an imperium in imperio. It is no more with Nihilism with which Russia struggles, but with the terrible consequences of the ideas of 1850. “Fathers and Sons” must henceforth occupy a prominent place, not only in literature, as quite above the ordinary level of authorship, but also as the creator of a new page in Russian political history, the end of which no man can foretell.